The young, dynamic and fast growing family company, Joels bvba, is situated in the Belgian East-Flanders, in the heart of the pigeon sport, and therefore not surprising that it has its roots in the pigeon fancy. The great passion for the sport was elevated to ‘ top sport ‘, in which increasing attention was given to feeding, care and conditioning of the pigeon in order to improve the overall fitness and resistance. 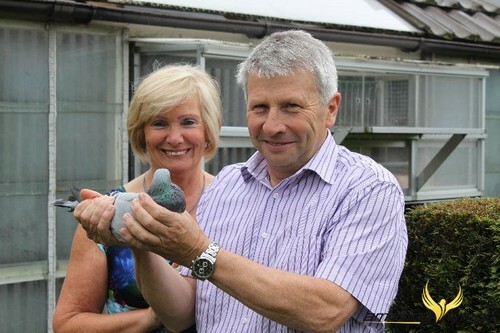 These many years of devotion and constant pioneering research for resources of natural resistance and vitality has ensured that we were able to understand perfectly what the breeders and his/her pigeon need. This knowledge and experience has ensured that Joels nowadays puts on the market a wide range of balanced and performance-enhancing foods, supplements and personal care products. After all, for the pigeons to compete at the highest level, we believe that a balanced selection of natural products is the key to success!